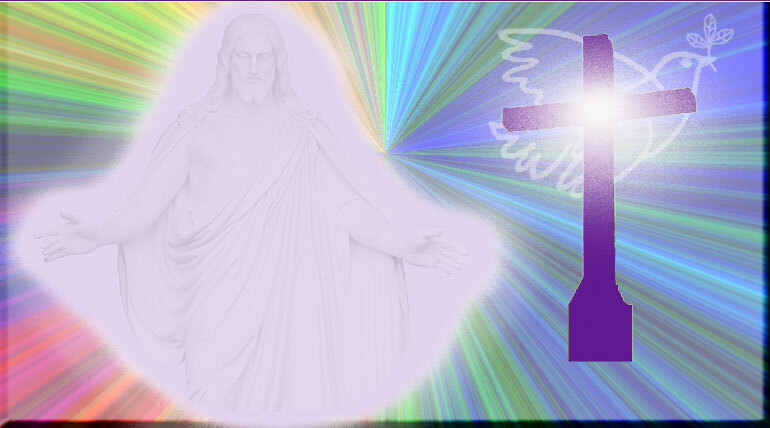 This web site is for Christians who beleive in Jesus but refuse to join a church. These Christians may well attend church each Sunday and even support some of that church's missions but they refuse to become a card carrying member. Worshipping God with others of a like mind is a very uplifting experience. It is the church politics and constant emphasis on money and getting bigger and building bigger structures that is rejected by Spiritual Christians. Spiritual Christians are about doing good one human being to one human being every single day at every single opportunity. The truth is that during his ministry, Jesus did not say one positive thing about the Jewish bureaucrats who were in time responsible for his crucifixion. The truth is that there is no difference between the contemporary Jewish, Christian, Buddhist, Muslim, Hindu clergy regarding their bureaucracies. There can be little doubt that Jesus would have rejected them all as he rejected the elitist exclusionary practices of the Jewish religous bureaucrats of his day. The paradox is that it is these bureaucrats who are responsible for bringing human beings back to God. But after that mission is accomplished, those same bureaucrats begin to brainwash their new members into elitist exlcusionary money contributing supporters. Jesus started no church. Jesus built no buildings. Jesus accumulated no assets. Jesus had nothing good to say about the Jewish religious bureaucrats of his day. It was Paul who set up the church. Without Paul the Christian movement would have probably died out by the end of the first century because in order to stop the Christian movement, the Jewish bureaucrats banned all Christian Jews from the synagogs. Were it not for Paul's mission to the gentiles, non Jews, we may have never heard of Jesus. The mission of Jesus really required three persons. John the Baptist who was the herald. Jesus who lived an exemplary life of devotion to doing good and bringing human beings back to God. And Paul who established the Christian religion. John and Jesus accomplished their mandates from God. It was Paul who failed. And Paul failed because he had to use the tried and true ancient religious templates, formulas and formats to establish and distinguish Christianity from the other religions of his day. Paul set up another religious bureaucracy of men: and coincidentally he subordinated women which was contrary to the teachings of Jesus. The time has come to look at and distinguish what Jesus said about living as a loving, forgiving human being, as opposed to what Paul said with regards to establishing, belonging to and supporting a church. The time has come to edit out some of what Paul had to say with regards to women and others in order to create a more spiritual Christianity. The greatest paradoxs of Christianity in contemporary society are the men and women who have established non denominational Billion Dollar Jesus Shows that are really no more than personality cults. The great paradox is that these men and women who lust after power and money are making their fortunes talking about Jesus who had nothing. None of these alleged 'men and women of God" can even fathom much yet live the life of Jesus. Show me one of these personages who wears cheap clothing or drives an economy car. Do these men and women do any good? I can only speak with certainty in the area of them doing good in the sense of making fortures. Yes, they do themselves a lot of good. They certainly fill a need demanded by human beings. But the message they propagate is only peripherally the message of Jesus. The rest is the feel good New Age corruption of what Jesus said, taught and did.